Ever since Dita Von Teese debuted her striking 3D printed dress by artist Francis Bitonti (pictured above), fashion houses have been clamoring to release the next big thing in 3D printed fashion. We’re seeing fantastical concepts coming out, more and more of them emerging on the runways, and with the month of world fashion weeks beginning we can expect to see 3D printing taking a lead role even beyond the more avant garde looks of the year. But what about the consumer end? It’s one thing to watch models donning digitally-constructed garments for the few moments it takes to walk down a runway, but it’s another thing entirely to purchase and wear a 3D printed piece of your own. Here are my top 3 choices for accessible, made-to-order, ready-to-wear 3D printed fashion that you can buy right now and will actually want to wear. 3D printed shoes may sound uncomfortable and clunky, but these ones, which come lined with a patent leather insole, are impossibly light and incredibly strong. Inspired by fairy tales, these shoes take a structural and modern approach to the airy transparency of Cinderella’s glass slippers. From platform to pump, the Strvct line can be digitally produced in a range of heights and styles to fit your royal preference. Whether you’re going to a party or a job interview, this dimensional bowtie is certainly an accessory to be remembered. Made of metallic polished plastic, this lightweight bowtie slots on to the top button of your shirt for style that looks and feels effortless. Elaborate nail art is incredibly popular on Instagram and Pinterest – but the Laser Girls take that to a whole new level. 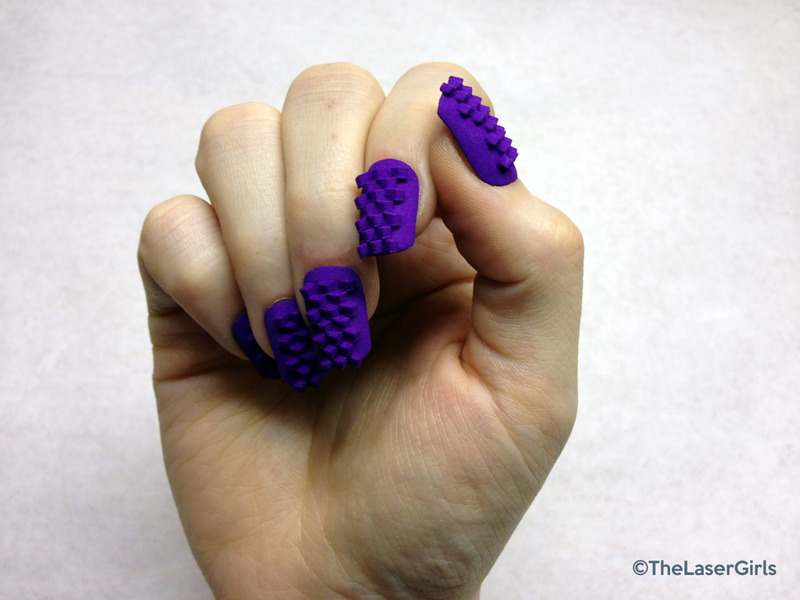 Their 3D printed nails come in a variety of designs and colours and are made-to-order depending on your size. Stay tuned for my feature of their Dragon nails coming soon! Shapeways is a company that facilitates the production and distribution of custom 3D printed pieces. You can browse the site to find awesome things to buy, which will be printed to your specifications and sent to your home. Or you can submit your own model and have your design printed and sold on their digital marketplace! As fashion weeks approach, I expect that many models and attendees will be wearing 3D printed accessories with their ensembles – and no doubt some of them will be custom designed. Why not try your hand at 3D modeling and make your dreams of designing come true?